What is Mobile Self Storage and how can it save you time, money & effort? You may be aware of standard Self Storage and may have used it before. Self Storage involves you usually hiring and fuelling a van to transport your items to a storage space where they are kept until you want to access or collect them. We also offer this service for those that have their own transport and that works well for a lot of our customers. But what if you don’t want to hire a van or wish to make numerous trips back and forth using your own vehicle? This is where our Mobile Self Storage collection service helps save you time, money and effort as we will deliver one or more of our standard size warehouse storage units direct to your door aswell as provide FREE assistance to help load your belongings into the unit. This also allows to make sure your belongings are secure ready for transportation. Our Mobile Self Storage service offers the same benefits as Self Storage – free access to your items as many times as you like and flexible storage terms but with the added bonus of transport. Not only does this mean there’s no need to hire and fuel a van but your items are not double handled as, once they are loaded into the storage unit, they stay there until you visit our secure warehouse facility to collect or we return the unit back to your property. This also means that you only pay for the storage space you use. Instead of hiring a storage unit that you may only partially use, we can book you as many units as you need until the move is complete. If you’re not sure how many units are required we will be happy to discuss your needs prior to booking or you can simply decide on the day and we will invoice you for the correct number of units once you’ve finished. 1. Storage unit delivered direct to your door. 2. Available 7 days a week. 3. No need to hire a van. 4. No need for a removal company. 5. No need to make numerous trips in your own car. 6. FREE assistance to help load your belongings. 7. Reduce the risk of damage – only load once. 8. FREE access to your unit whilst in storage. 9. All units remain securely stored inside our warehouse facility. 10. Located adjacent to the A40 – within easy driving distance of Monmouth, Ross-on-Wye and the Forest of Dean. For further information and a video of how this service works, please visit www.selfstoreandmore.co.uk/mobile-self-storagehttp://www.selfstoreandmore.co.uk/mobile-self-storage. Self-storage doesn’t have to be a space you visit a couple of times a year to dig something out of a stack of boxes. It can be a highly organised, easily accessible facility that frees up necessary space in your home or office. To get the most out of your unit, it’s best to plan in advance of the day you need self-storage. 1. Depending on what you plan to store, you may want to think about making an inventory. 2. Start by identifying items that will be packed in boxes and stacked. 3. Prioritise boxed items you will want to access most (they’ll go closer to the front of the unit). 4. Group by fragility and/or weight – heavier, substantial items should be stored on the bottom of stacked items, delicate items on top. 5. Consider awkward-sized items that won’t stack well, including how often you will need to use them, and how heavy they are. Group these items in a similar way you did the boxes. Nobody wants to pay for space they don’t need. But a little extra space makes moving around within the unit much easier and gives you room to add unplanned items. Only you know how much stuff you have to store, but we are always happy to help if you are unsure. Visiting Self Store & more prior to booking a unit is always advisable as we have a range of different sized units for you to choose from. We are also happy to visit your premises to provide a free, no obligation assessment on the correct type and size storage unit you will require. •Use boxes rather than plastic bags. Boxes are sturdier and stack well, taking up less space. 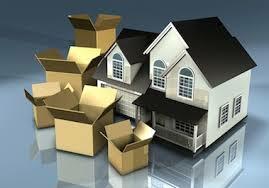 Many removals companies require that goods be packed in boxes for transport. Also, sealed plastic bags can trap humidity which can cause damaging mildew. •Invest in good quality, sturdy boxes and packing materials. Boxes should be sturdy enough to hold up for years under the weight of the stack. You may be tempted to get boxes for free from supermarkets and liquor stores; however, the mismatched shapes and sizes will impede your ability to organize most effectively. You can buy standard-sized boxes and specialty boxes for items such as TVs, videotapes and pictures. If you’re storing long-term, you may want to invest in plastic stacking boxes. •For wrapping breakables, paper will do, but bubble wrap can be used repeatedly, is cleaner, and because it is transparent, makes identifying contents easier. Packing boxes, bubble wrap and tape are available for purchase at Monmouth & Ross-on-Wye Self Storage. Please call to discuss your requirements. •Box up everything that you can. Anything unboxed has an increased risk of being damaged when you access you unit. •Fill boxes to capacity. The contents in half-empty boxes can shift during transport or lifting. Corners and sides can collapse if there’s nothing to support them. Foam peanuts or paper is useful for filling in the gaps in boxes. •Distribute the weight in packed boxes evenly. Make sure they are not too heavy to be lifted. It’s better to have lots of small light boxes, rather than a few large heavy boxes if possible. •Wrap all fragile items and breakables such as dishes, glasses, ornaments, etc. separately. Pack these items tightly into strong or reinforced boxes, filling any gaps with paper or filler. Mark “Fragile” on any boxes containing breakable items. •Clearly label all boxes on more than one side so you can easily identify the contents. •Pack books flat to avoid damaging their spines. •If you plan to store clothes, it’s worth investing in a wardrobe box with a built-in hanging rod. Defrost fridges and freezers thoroughly. This avoids water damage and mildew growth. Tie down the appliance doors during transport, but leave them slightly ajar once in storage. Wipe down the inside of appliances with baking soda before you store them to keep them dry. •Wrap mirrors and pictures in protective covering such as bubble wrap and mark them as “Fragile.” Cardboard corners can be purchased to protect the sharpest, weakest areas of frames. •If you do store loose photographs, place them between pieces of clean cardboard and consider taping them together to avoid curling. •Separate lamp bases and lampshades and wrap them for protection. •If you’re storing upholstered products such as mattresses and sofas, consider investing in covers, bags or sheeting for additional protection. •Vacuum-sealed bags work really well for draperies, bedding, and clothing. •Electrical equipment such as TVs, stereos, and computers should be packed in their original boxes whenever possible. If using other boxes, choose ones that are as close in size to the original as possible, and fill all gaps with paper. Make sure you secure the player arm of a record player and turntable. •Disassemble furniture such as beds and tables before you store them. Wrap and cover the separate sections, clearly mark them and keep them together. Keep assembly components such as screws and bolts together in a plastic bag, mark them clearly, and tape the bag to the appropriate piece of furniture. (Use tape that is safe for use on furniture, or tape the bag to an inconspicuous place on the piece.) Cover chair legs with bubble wrap or rags for extra protection. •Spray your wood furniture with a good quality furniture polish before storing it to give it some added protection. •Treat leather items with a leather conditioner before you store them. •Wipe down metal objects and tools with a little oil before storing them to avoid rust formation that can occur when the tools are not used regularly. •When storing a vacuum cleaner, clean out the bag or canister first; bacteria and mould can accumulate otherwise. •Consider having awkward or heavy pieces such as exercise equipment packed professionally. As you go, keep an inventory of every item you’ve packed. Ideally, include an estimate of the replacement value of each item you store so that you have some idea of what to insure the stored goods for. • At Self Store & more, your unit will already be clean and swept out but you can put down protective canvas sheeting, cardboard or wooden boards on the floor if you prefer. •Keep a fold-up step stool in your space for accessing hard-to-reach areas. •Frequently-used items should be placed near the entrance for easy access. This holds true for file boxes and other business items, too. •Unload the largest items and place them against the far wall, as well as along the sides of the unit. A member of staff will be available to assist free of charge if needed. •For archived business documents that you won’t need to access frequently, place them against the far wall of the unit. •When arranging items, you can always leave an aisle space for easy access to your items. Planning, preparing and setting up your self-storage unit may seem like a big chore. However, you will certainly find the time and effort are worth it, when you know that your belongings are properly protected protected, conveniently accessible and well-preserved. If you need any further advice or wish to discuss how Self Store & more can help with your storage or packaging needs then please call us on 01981 541180 or send us a message via our contact page by clicking here. Moving from a larger home into a smaller one naturally means that you’ll have less space for all the belongings you’ve amassed over the years. Many of our customers are people who have retired and moved into smaller, more manageable homes, and others are parents of grown-up children who no longer need as many bedrooms. They’re looking for somewhere to store those belongings that no longer fit into their home but that they don’t want to sell or give away yet. Items of furniture that don’t fit the space available can be hard to part with, particularly if they have sentimental or significant monetary value. Furniture that you don’t have room for anymore can also still have huge potential practical value for your loved ones: if your children or grandchildren are not yet settled in their own homes, it’s possible that they may need to use your spare beds or wardrobes when they get their own places. Keeping that furniture safe and dry in the meantime could really help out, financially, at a time when your children or grandchildren have had to pay legal and moving fees as well as a hefty deposit on a new home. Alas, divorce is a common event for many people and necessarily involves a move for one or both spouses. Even the swiftest divorce proceedings take 3 – 6 months with a fair wind, and until they are concluded it can be difficult to finalise financial arrangements and agree who will live where. Many separating couples move into temporary, rented accommodation pending a resolution of their financial affairs. If you have to move into a smaller property or into furnished, rented accommodation, you will probably have possessions that you don’t have room for in your new place. Like the ownership of the matrimonial home itself, you and your ex may not agree on who will get what furniture in the early days, but you shouldn’t forget that you will ultimately need to furnish your own home in the long term. Even if you don’t have room for them now, you should still try to keep what you’ll eventually need after the dust has settled. A bed, wardrobe, chairs, as well as personal items such as clothing can all be safely stored in one of our self storage units until you have space for them again. Death is never easy to accept, and as well as coping with the emotional aspects of losing a loved one you may have to deal with practical issues too. Sorting through the home of a deceased relative is not something any of us would choose to do, but it will be necessary in order to wind up their estate. It can take time, and it can also be very difficult, in the midst of grief, to know exactly what to sell and what to keep. There may be items of furniture that you can’t use right now, but will probably need in the future – selling them now will mean that replacements will have to be purchased at a later date. For more information about any of our self storage services, please have a look through our website or contact us by email [email protected], telephone 01981 541180 or via our website quote request form. Building Work – Don’t let your dreams turn into a disaster. With the warm weather and longer days, you’ll want to get all your building work or renovations done now. After all, having work done in the house when it’s pouring down is no fun at all – in fact, it can be a major inconvenience! While the workers you hired are happy to get on with their tasks, you’re probably on standby with the hoover to catch any dust or are busy keeping the kettle on the boil for any on-demand brews. This is all fine. The problem begins when you have to tuck all of your belongings away. This can be a bit challenging and send your stress levels sky high. Of course, it doesn’t have to be like that. Building work shouldn’t be synonymous with building stress. If you don’t have a lot of space in your home you will probably need to move your furniture about. After all, the workers need to move around freely without being hindered by your furniture. However, you may not be able to place your furniture in another room of your home, especially if you don’t have a spare bedroom (and piling your stuff on top of your other stuff is far from ideal)! And can you imagine anything worse than having to take out all of your furniture and put it on the kerb while you have work done in the house? You’ll soon get tired of explaining to your neighbours that no, you’re not having a garage sale or quickly trying to cover your prized possessions in plastic during the unexpected rainfall. On the other hand, putting your furniture in storage temporarily, can solve all of your problems. You don’t have to worry about space and will have peace of mind of knowing that everything is safe and ready for you to collect when you want. If the work you’re having done has even a slight chance of damaging your belongings, you’re likely to be stressed about it. It could be simple paintwork, a mess about with the water pipes, or the installation of a new floor. No matter why you’ve called workers to your home, the last thing you want is to be on edge worrying about your antique table or model car collection. The only sure way to ensure you can avoid any damage to your belongings is to get them out of the house! By placing them in storage, you can rest assured that your belongings will be well-taken care of and there’s no way they will get damaged during the building work. No matter how long workers take to finish the job, it’s likely you won’t want to live in a crinkly mess for that time. Maybe you’re having the house painted or maybe you’re finally getting that wall knocked down to make more room for a baby – instead of resorting to plastic, have you considered putting your belongings in storage? This way, your home will still look tidy (well, as tidy as it can be when you’re having work done…) and you don’t have to live in a plastic nightmare! Be it because you don’t want to keep moving furniture around or because you’re afraid that despite your precautions your possessions may still end up damaged – take a look at our range of self storage options available as we are sure there is a solution to suit your needs. The alternative is to keep covering the furniture with cloth or plastic sheets, keep moving each piece around as needed (especially difficult if they weigh a ton, making you regret getting that solid oak dresser! ), and constantly and obsessively checking for any marks or chipped corners. Not to mention the inconvenience of clambering around and over all the out-of-place items. With building work ongoing, life is often stressful enough. So, don’t add to it by stressing about your belongings all the time. Why not visit our website pages and take a look at the following options to find out which solution suits your needs? Of course, if you wish to discuss your requirements with an experienced member of staff then please do not hesitate to call our 24/7 customer support service, email [email protected] or complete our website Quote Request Form. • Mobile Self Storage Collection Service – Save time, money & effort on removals and van hire and let us collect direct from your door. • Store @ Your Door – Why not have a secure storage unit delivered and sited at your home – the most convenient storage solution you’ll find. Access to all of our units are available 24 hours a day, 7 days a week (some by appointment only) so, if you need to collect, drop off or simply have a look through your items, we will be here to help when it suits you. For further information, please have a read through our website or contact us 7 days a week to find out how we can help protect your possessions in a cost effective, convenient and stress free way. How to Prepare Your Home for Sale. Selling your house can be a very emotional experience and one full of competition. Your home will be one of many to be offered to prospective buyers by estate agents in your area, so you will need to make sure that your house is ready for the brochure photographs and subsequent viewings. By doing so, you will significantly increase your chances of a successful sale at quick as possible for the right price. Here are a few handy tips to help. First impressions count, and the first impression a potential buyer gets of your home is from the exterior. Many buyers will already have made the decision about whether they intend to buy your house before they’ve even made it over the doorstep. For this reason, you need to make the first impression a good one. The wind, rain and snow during these winter months may have caused the exterior to become tired so any peeling paintwork should be given a lick of fresh paint, weeds removed and, as soon as you can, the lawn should be mowed. Driveways, gutters and paths should also be swept clean of leaves, twigs ad winter grime. Having this ‘fresh’ and well maintained look upon arriving also shows any prospective buyer how much you care about your home, which will hopefully persuade them that they are investing into something worthwhile. 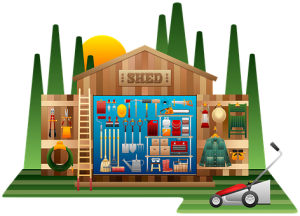 A further way you can improve the exterior is to get rid of any toys, bikes, tools or other larger items you may have lying around. The best place to keep these is in the garage or shed. However, if you do not have this type of storage space, it could be worth considering using self storage on a short-term basis until you have sold your house. One of the simplest tips given by estate agents and property experts is to give your house a thorough clean. Buyers need to be able to imagine themselves living in a house and they are less likely to be able to do this if they see your home looking unclean. Although it requires some effort, this is not a difficult task and it may be one that pays off. As you are used to living in your home, it is possible that you have not noticed the condition of different areas of your home. You will have become used to any small problems, but a buyer is likely to notice them and look upon it negatively. One tip is to pretend that you are a potential buyer. Take a notepad and a pen around the house with you and write down the things that catch your eye. If the paintwork is scuffed on the skirting boards and around the doorways, then this is something that will need your attention. Likewise, if you have patches of missing wallpaper or a kitchen cupboard door with a broken hinge, you will need to do something about these too. Part of making a house a home is to have your personal possessions on display. However, what you see as prized possessions with huge sentimental value, a buyer may consider to be clutter. To help a buyer imagine themselves living in the space, it is better to clear away the extra stuff. Pack your items away in cardboard boxes, individually wrapping any possessions that may break. These can be stored in the loft space, garage or the shed. If you are concerned about potential damage to your things, then another alternative is to use a self storage unit until your house is sold. This way you can be sure that your items will not get damaged and will be completely secure. An invaluable source of advice about preparing your home for sale is your estate agent. They will have lots of experience in understanding what can help a home to sell and will be able to give you tips to improve your chances of a sale. They are likely to be almost as keen as you to sell your house, especially if they are on commission or working towards targets. Large pieces of furniture may be your style and a reflection of your personality and personal taste, but they can make a room look cramped and much smaller. A house with space is more likely to sell. Therefore, to create a feeling of space in your home, it may be necessary to clear your house of some of the furniture. Think about which pieces you actually use on a daily basis and which do not have much of a practical use. It might be necessary to store your furniture in a storage unit for a while. Choosing the right size storage unit is a very cost effective and flexible way of creating space at home and, if it helps you to sell your house quickly, it’s also a great investment in the long run. Although selling your home can be stressful, using these steps to prepare your home for sale can help to limit the amount of problems. By following these tips, the chances are that you will get positive feedback after viewings and you are more likely to achieve a quick and successful sale of your home. If you are not sure about how, or what, to put into self storage then please feel free to contact us at Self Store & More seven days a week on 01600 735001, 01981 541180 or 01594 840860. We are happy to listen, discuss and advise on whether you first of all need self storage and, if so, what size will best suit your needs. Moving to a new house is probably one of the most stressful things you can do in life and, whilst the thought of settling into your new home is exciting, the actual packing and planning beforehand aren’t. However, moving home doesn’t have to be a complete chore if some simple tips are followed. Decluttering can be carried out for a number of reasons such as getting the house ready to impress a buyer or simply packing away your non-essential belongings to reduce the workload on moving day. Or do you have a gap between your move-out and move-in date and need a place to store all your things for a few days or weeks? These items will, of course, require a new, temporary storage space and if friends or family can’t help with a spare room or garage then Monmouth & Ross-on-Wye Self-Storage will be happy to discuss your requirements and offer you a range of solutions tailored to suit your needs. We can even arrange to collect your belongings direct from your door using our Mobile Self Storage service. Plan in advance and purchase plenty of strong boxes, bubble wrap, tape and blankets prior to packing….these are your belongings after all. Make sure you individually wrap fragile items such as glassware, photos, pictures, plates etc before packing them in a larger box. If you are thinking of placing your belongings into long term storage then make sure everything is clean and dry so they don’t become mouldy during the months (or years) in storage. When it comes to packing your items, make sure you think logically about how you’re going to go about it. Always pack heavier items in smaller boxes as it’s easier to carry. Always think about how many books you stack in one box as these quickly add up to a lot of weight and may lead to a bad back or broken box when trying to lift it. Use larger boxes or bags for essentials such as duvets and pillows as these are light and easier to stack and store when contained in a box or bag. It may seem obvious to many but always label each box or bag as you will forget over the weeks or months when you suddenly need some items and can’t remember where it is…leading to wasted time and effort trying to find the right box. It’s easy to get caught up in the excitement of changing postcodes but don’t forget to tell your bank, insurance company, building society, credit card providers and favourite charities before you go. After all, you don’t want any important documents getting sent to the wrong address. And, just in case the bank doesn’t change your address, don’t forget to redirect your post with Royal Mail as a fail safe. Prepare a bag of essentials which should be the last thing you load into the car. This could include a change of clothes, toothbrushes, snacks, kettle, tea & coffee, mugs and sugar. Perhaps a first aid kit, tool box and toys to keep younger ones entertained when unpacking. A big move is hard work and stressful so stick to your deadlines but also allow yourself some down time to enjoy a well-earned rest. Enjoy a cup of tea and biscuit during the day and why not explore the local pub, takeaway or restaurant in the evening. After all, there will plenty of time to cook in your new home. Are you moving, renovating or running out of space at home? Here is some advice on how to declutter and how Monmouth & Ross-on-Wye Self Storage can help you. Preparing your home for sale or moving into a new house is the perfect excuse to purge excess items you no longer need. However, if you already live in a great location but the house is just too small or overrun with toys, tools, boxes or broken bits then extending or simply having a declutter and rearrangement of space could be the answer you are looking for. Whatever the reason, it can sometimes be tricky to determine what to keep and what to throw away. Storing is, of course, another option, especially for those items you don’t use often enough but don’t want to dispose of for sentimental or value reasons. Here is some advice to help you evaluate if you should pack, throw or store your belongings. How to Categorise Your Items. · How often do I use it? · How emotionally attached am I to it? · Is this ready for an upgrade? · Could someone else get more use out of it? · Does it still function correctly? 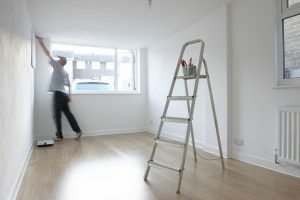 · Will this fit the décor of my new home or extension? · Is there room for this in my new house if I move? Pack up or keep all the items that pass these questions. The rest will fall into one of the categories in the following sections. · Items with missing parts. · Old greeting cards, letters, magazines. · Rusty equipment, such as gardening tools, rakes or hoses. Although getting rid of excess items can be a relief, sometimes it may be difficult to just throw your items away. If so, why not consider other options that can give your useful belongings a second life, such as donating, selling or giving them away. · Apparel that is no longer worn. · Extra or unused kitchenware (plates, glasses, mugs, silverware). · Décor that is no longer used, such as lamps, paintings or sculptures. So How Can Monmouth & Ross-on-Wye Self Storage Help? Some of the items you want to keep may not be of use to you anymore but have sentimental memories or be future hand-me-downs for when the children go to university or move into their first house. Self-storage is a perfect solution as you’ll have access to them anytime without taking up space in your home. At Monmouth & Ross-on-Wye Self Storage, we offer a wide range of cost effective options so whether it’s one box or a whole house, we will listen to, and discuss with you the best solutions to suit your needs. For example, even if you only have a small amount of family keepsakes that you want to keep safe, we have secure racking space available from only £1 per week. · Family photographs or keepsakes. · Seasonal apparel (e.g. coats, hats, sweaters). · Outdoor tools (e.g. lawn mower, rakes, shovels, DIY tools). If you wish to discuss your storage requirements, or simply need some free advice then please call us on 01981 541180 seven days a week or email via our contact us page.